There are many approaches to designing a font. It can be helpful to deconstruct the larger processes involved in order to get started quickly, and to provide a solid basis for a whole font's worth of characters. A popular and valuable approach to this is to design the 'o' and 'n' characters first, nailing down essential elements of form, space and balance, before bringing them together for the formation of other characters. Creating the lowercase 'o' and 'n' characters can provide us with some of the fundamental forms and structures that will underpin all other characters that are needed. Although the design of the 'o' may seem like quite a simple thing, all the characteristics mentioned in the "What is a font?" chapter come into play. The choice you make about each characteristic should be a deliberate choice. One way that optical effects impact type design is in the way that curves and straight edges appear to our eyes. For example, for a curve and a straight edge to look as though they are sitting correctly along a line, the curve must actually sit a little below the line. 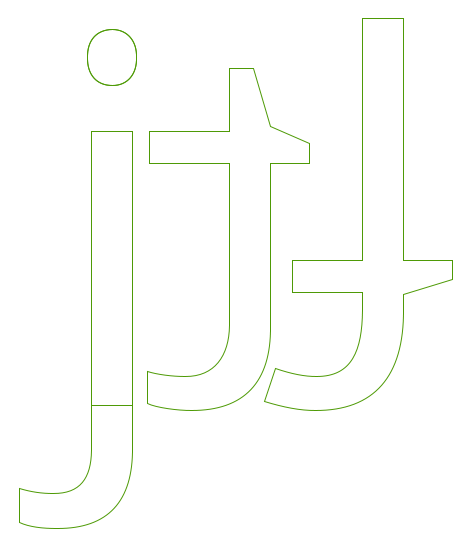 This is portion of a character that dips just below the baseline in order to appear sitting on the baseline is called the underhang, an example is seen below. Without underhang, characters with curves at the baseline will appear to not be sitting correctly within a line of text. 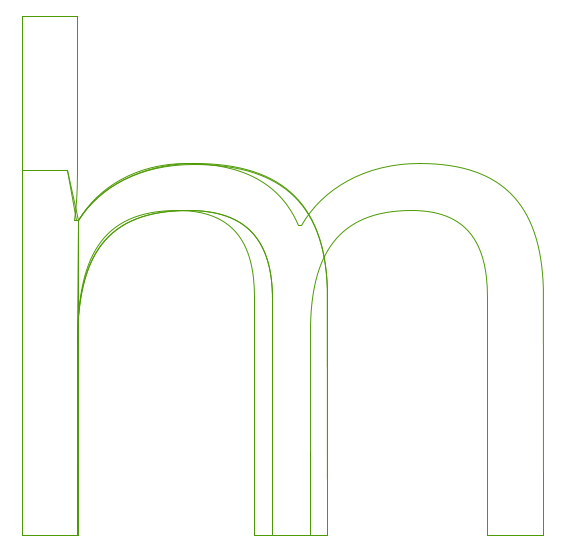 In the same way as the effect of the underhang has optical impact in a font design, an area of overshoot is needed to provide the illusion of alignment at the x-height and at the cap-height (see below). The design of the 'o' is not just a question of the black part of the letter. While the 'o' provides the very basic bowl weight and shape, the white, or counter, provides the size and shape used by the rest of the font. In general terms, we can also observe that the round form of the 'o' will be echoed in other characters. These include the b, c, d, e, p, and q, and the form will also implicate the shaping and forms of curves within any other characters of the font, such as the O, C, D, and Q. In addition, the white inside the 'o' should be utilized when designing the spacing of our font; the 'o' sets up the reference rhythm of spaces used between all other glyphs in the font too. These two values are very related, so essentially you will need to design the amount of white space that are the side bearings of your 'o' as well. As a general principle, with the exception of slanted or italic fonts, the 'o' should have the same amount of space on the left and right sides, and the white space between a string of 'o' characters should balance the white space inside the 'o's. Here we encroach well into the territory of spacing and metrics, so even at this early stage you will need to study some of what is written in the chapter on Spacing, Metrics, and Kerning, which covers the whys and hows of designing spacing in a font. 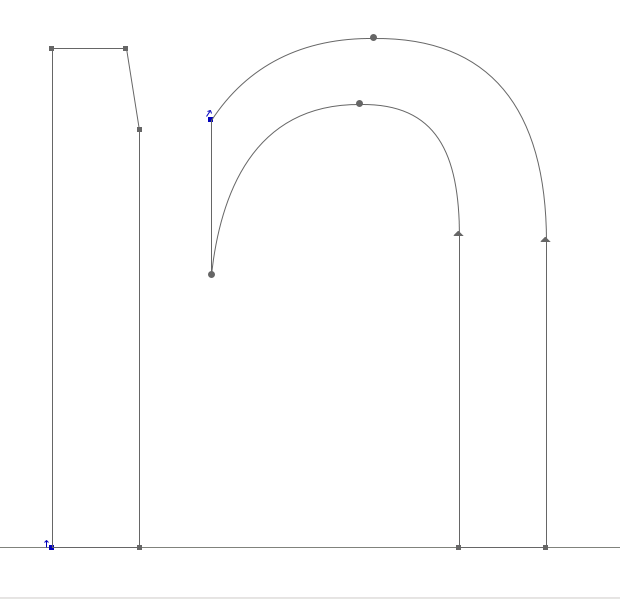 Then, returning back here, you will have a well spaced 'o' character to help you design your 'n' character. 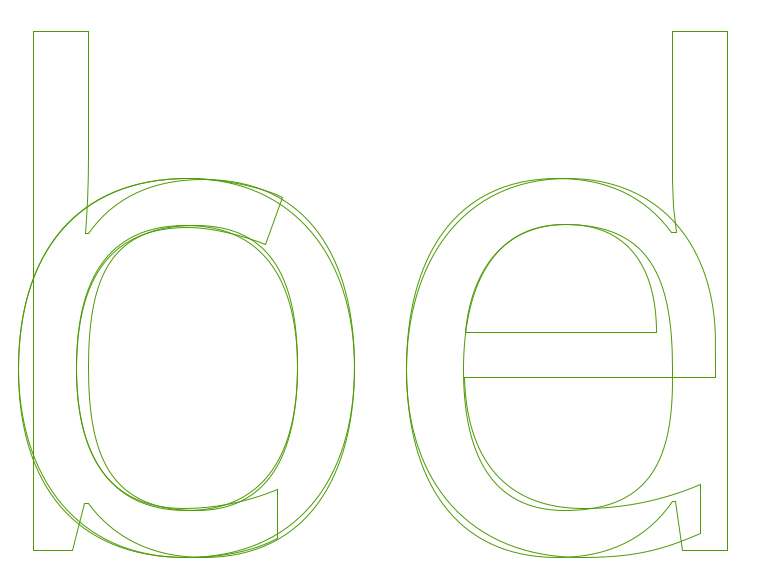 Once you are happy with the form and spacing of a string of your lowercase 'o' character, the next step of this approach is to create a suitably shaped, balanced, and well-spaced lowercase 'n,' then to inject it into your string of 'o' characters. If we look at the anatomy of an 'n', we can break it apart into two or three components consisting of stem and curve. This approach can give us a shortcut to keeping balance and harmony within our characters as they are formed, and as our set of characters grows. Look at the example lowercase 'n' below; it is broken into two components. These separate components combine together to form an 'n', but the same components will be re-used later when forming other characters, e.g., the stem at the left of the 'n' can be used to form the left-sided stem of all other lowercase characters. Taking yourself forward again to the chapter on spacing and metrics, the design of the 'n' character should keep pace within the process of spacing the 'n' and 'o' characters together. Now, garnering the methods you have used to create an 'n' and 'o' character, you are ready to expand the lowercase character set. 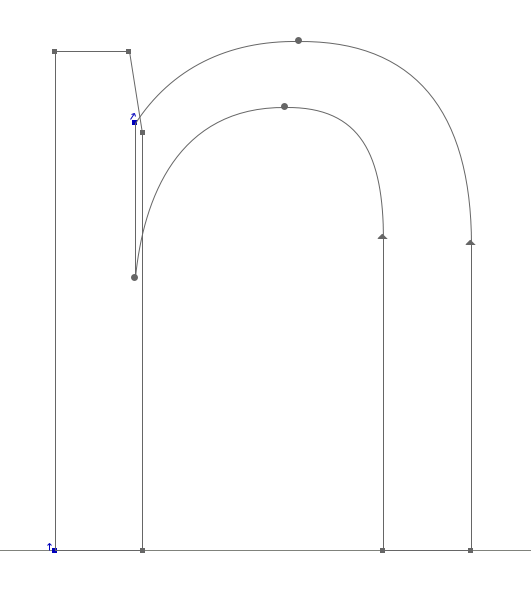 The qualities of the stem and curve components of the 'n' and 'o' will inform the way you may form other characters. If we study the characters below from Open Sans, we can see the relationships between the formal aspects of separate characters and how they can be repeated, with some adjustments, to form the components of our font.